The fat races are on! 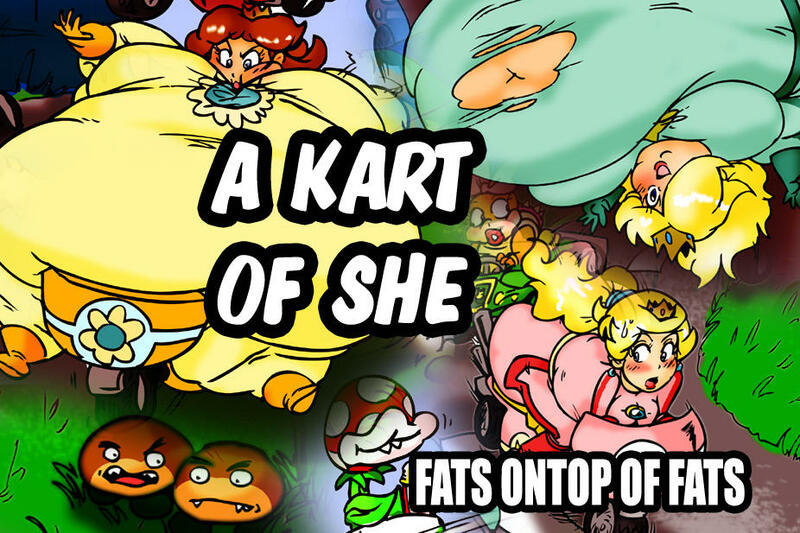 Peach, Daisy, Rosalina, Wendy, and Toadette are on a race of expanding stakes. As they make the turns they become fatter and fatter. Who will win the race? As each racer succumbs to their own massive weight, only one racer can fit through the finish line! Sequence is eight pages long, all images are hand drawn and colored in Adobe Photoshop.